Subscreva com o seu endereço email. Mantê-lo-emos actualizado dos nossos eventos. Sign up with your email address. We’ll keep you updated on our events. Teo’s Pink Phanter, the amazing solo show by Spanish-american artist Ian Waelder will open March 21st at 8pm. On view until April 11th! 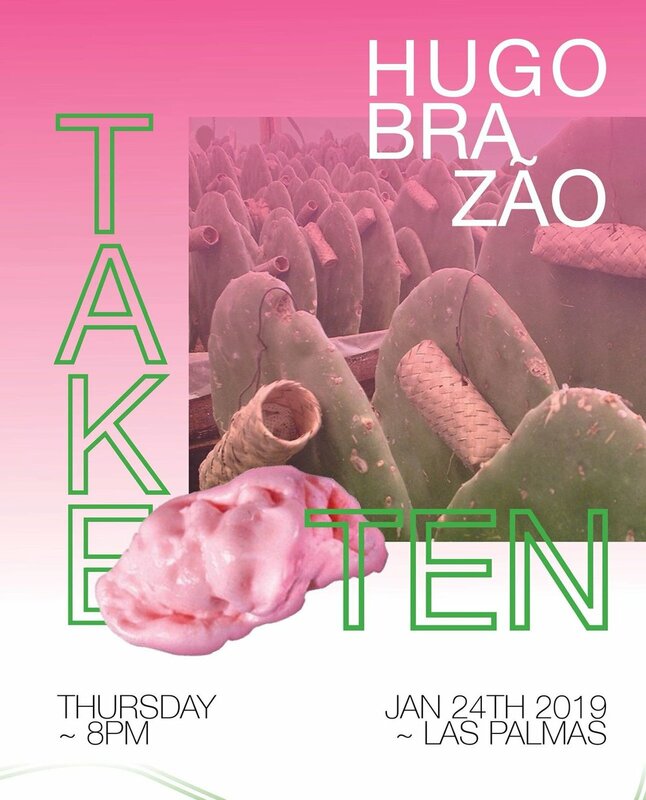 You can´t miss the opening of Take ten, a solo show by Hugo Brazão. Next Thursday, January 24th at 8pm! 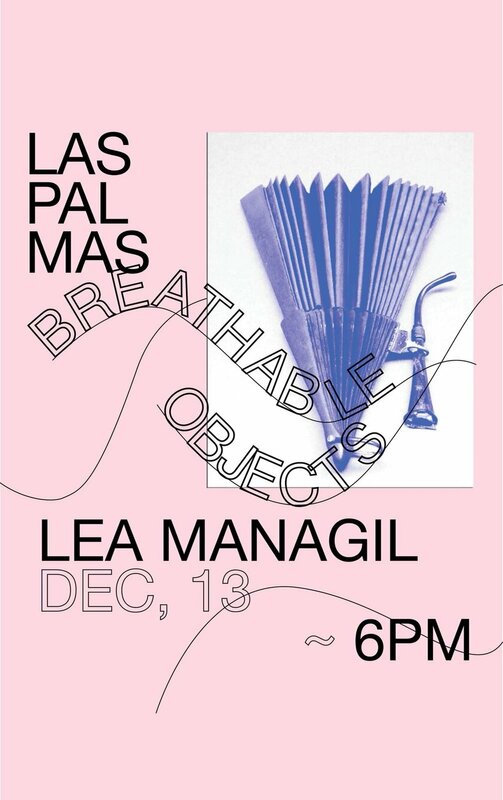 We’re excited to announce “Breathable objects”, the first solo show by portuguese artist Lea Managil. The opening will be on December 13th at 6pm! The exhibition will run until January 10th. Lea Managil, nascida em 1991, Lisboa. É formada em Pintura (FBAUL) e Música (EMCN;UA). Vive e trabalha em Lisboa. Friday, October 26th it’s the opening of “Birthday”, a solo show by portuguese artist Sofia Mascate. Join us at 9pm in our pink space! Sofia Mascate (Abrantes, 1995) vive e trabalha em Hamburgo. Frequenta o mestrado em Pintura na HfBK Hamburg. É licenciada em Pintura pela FBAUL (2013-2017). Expõe regularmente desde 2016. Participou nas residências CEAC Vila Nova da Barquinha (2016) e Zona Lamego (2018). Foi também bolseira para a International Summer Academy for Fine Arts and Media em Veneza (2017). Expôs individualmente na Galeria Monumental, “Abril, Folhas Mil” (2018), e foi através desta galeria que participou na primeira edição da feira JustLX, ocasião onde foi nomeada para o I Prémio de Arte Emergente da Fundação Millenium BCP. Foi também nomeada para o prémio Arte Jovem da Fundação Millenium BCP. Dose Magazine is launching their first issue at Las Palmas, featuring works of Sara Mealha, Alina Koshova, Mariya Nesvyetaylo, Nelson Duarte, Mau Ventura, Maria João Ferreira, Joana Ribeiro, Manuel Tainha, Mariana Rocha, Manuel Queiró, Nuno Vieira and Rafael Silva. Join us this Saturday, October 13th at 5pm and get one of these! 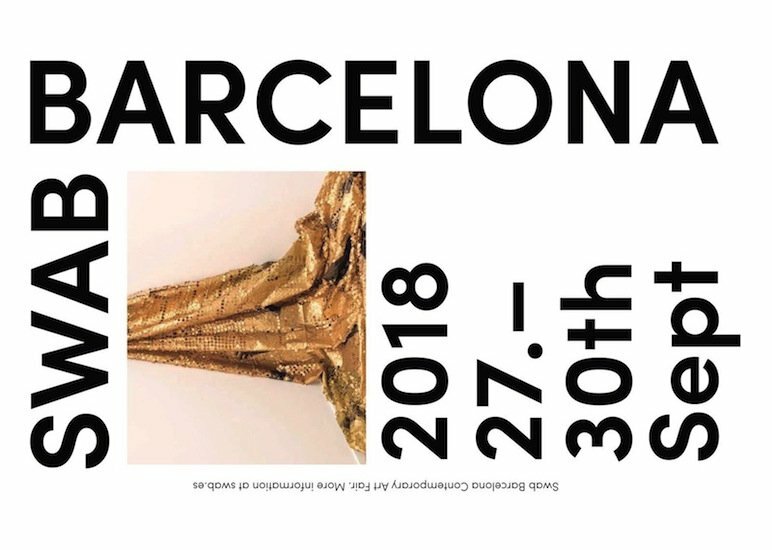 We are thrilled to announce that Las Palmas will be part of Swab Barcelona Art Fair 2018 program, showing works of Aires de Gameiro, Nuno Ferreira, Pedro Cabrita Paiva and Primeira Desordem! We´re opening our new space in Entrecampos with a solo show by Portuguese artist Hugo Canoilas, Simondon Versus Burian on September 14th. Join us, this Friday, June 1st for the opening at 9pm. May 11, we'll open Kinema, a solo show by Aires de Gameiro. Las Palmas is pleased to announce that we will be open all weekend by occasion of ARCO Lisboa'18 and FEA Lisboa 2018, being possible to see kinēma by Aires de Gameiro with the presence of the artist. Also on Friday, May 18, at 3:30pm, will take place at Pátio Nascente of Cordoaria Nacional a conversation conducted by Filipa Oliveira with the four members of Las Palmas, part of ARCO Lisboa'18 program.